Prices of Airline Tickets for Dogs — Domestic, International & Cargo! Air traveling with dogs is anxiogenic for most people because the information is often hidden in each airline’s website. And when you find it, there is always an extra form to fill out, and some measurements to take. Very cumbersome to say the least. 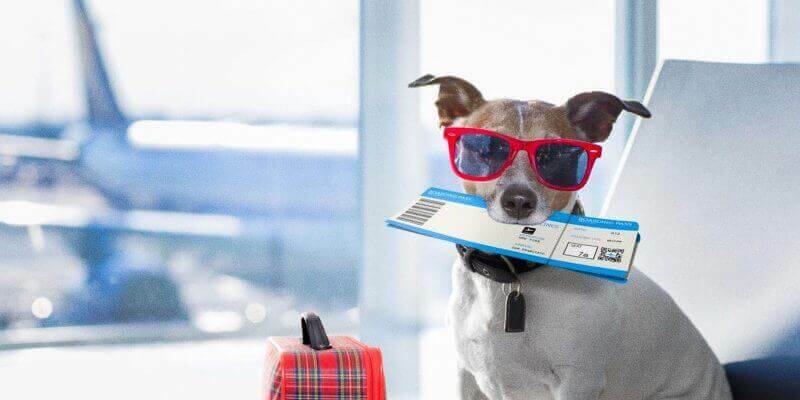 In this article, we want to inform your of the prices of airline tickets for dogs. Many believe that traveling with a pet is quite a hassle. The reason why many people have this notion in their heads is that flying a dog is usually considered to be a pretty trying task! However, in today’s modern era, you can fly your dog effortlessly with the list of airlines we have here for you! In all cases and with all airlines, you must always have a IATA-compliant dog crate. If your pet is small enough, then you don’t have to worry about getting it on cargo or checked in. You can have them under your seat storage. This is the best way to carry them around as they won’t panic or feel claustrophobic. You must ensure to train your pet to be inside a crate though. 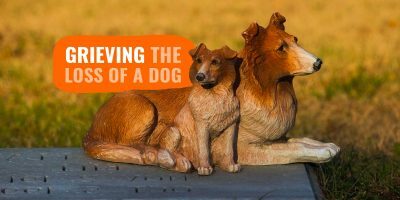 Different airlines charge different rates to fly dogs which we will discuss later on in this article. Large pets are flown with the designation given as checked luggage or air cargo. They are held in the special cargo space where all the amenities like the kennel are provided. The cargo spaces are fully pressurized, and the temperature is adequately regulated so that the pets do not feel cold or nauseated. Let’s check out the airlines and how much does it cost to travel by air with a dog! If you want your pet to be flown on Aer Lingus, it is essential to book them on the Aer Lingus Cargo. Animals who are presented at the passenger check-in for transport aren’t accepted without a pre-booking under any circumstances though. Hence, with Aer Lingus, the key is in pre-booking your pet to be flown in cargo. Air France costs 20€ to fly your dog within France while flights within Europe cost 75€. All the other overseas flights cost roughly 200€ to fly your dog. Pets who weigh more than 75 kg must travel only by freight. A passenger can carry a maximum of 3 animals on Air France. If your dog weighs less than 8 kg including the transport container or bag, the pet can fly in the cabin with the prior approval from the customer service department of Air France. Based upon your dog’s size, breed, and specifications, it should be able to take a trip with you as a carry-on, be checked in the hold, or carried with American Airlines Cargo. Aside from some specific breed constraints and regulations, you are able to only fly with dogs and cats. The following breeds, and any mix with one of these breeds, are not allowed to travel on an American Airlines’ flight: Affenpinscher, American Staffordshire Terrier, Boston Terrier, Boxer (all breeds), Brussels Griffon, Bulldog (all breeds), Cane Corso, Dogue De Bordeaux, English Toy Spaniel, Japanese Chin, Lhasa Apso, Mastiff (all breeds), Pekingese, Pit Bull, Presa Canario, Pug (all breeds), Shar Pei, Shih Tzu, Staffordshire Bull Terrier, and Tibetan Spaniel. Cabin flights for a dog will cost you $125, while you should expect to pay $200 for a dog checked in the hold. Cargo pricing is variable so you should type it in directly in the American Airlines Cargo’s website. Except recognized assistance dogs, no other pet is allowed to travel in the cabin. Every other pet must travel in the cargo area. The recognized assistance dogs can travel free of cost aboard the plane. The prices are regulated according to the size of the pet. Hence, you must contact the airline prior to travel to get a hold of the latest prices. Emotional assistance animals are also allocated to the cargo area in British Airways. There are different kennel sizes available that are given according to the size of the dog. Delta has different policies and prices for dog tickets for air travel; generally and from our understanding, cargo is pretty much your only option for international travel regardless of the type of dog or its size. Domestic flights are obviously more accommodating and a dog ticket with Delta airline should be around $125 for the cabin, or $200 in the hold. Obviously, the cargo option is priced depending on the journey, size of the dog, and other factors. Delta has a list of requirements you must fulfil to be allowed to legally travel with your pet on their jets. An easyJet aircraft prohibits the carriage of live animals like livestock, reptiles, insects, etc. However, an exception is made for assistance dogs and guide dogs. They can easily be flown in the cabin (depending on their size) after approval from the customer service department of the easyJet airlines. Emirates does not allow the travel of dogs in the cabin with the other passengers. The only exception is falcons that can travel to some specific destinations in Pakistan and Dubai. However, guide dogs are allowed to travel inside the cabin or the cargo hold. Flybe allows for the travel of assistance dogs on domestic routes. For international routes, assistance dogs can travel from only selected airports including Manchester, Birmingham, Exeter, Southampton, and Newcastle. Only assistance dogs are permitted to travel in the cabin. All the other dogs and cats must travel in the cargo hold. Lufthansa charges for pet travel based on the size of the dogs. For smaller dogs, the cost can vary from 35€ to 100€. For medium-sized dogs, it is in the range of 70€ to 200€, and for large sized dogs, the cost of the pet travel can range anywhere between 150€ to 400€. The fee also depends on the destination in addition to the size of the pet. Animals can travel in the cabin or the cargo hold depending on their weight and size. Ryanair does not allow the travel of any live animals on the cargo hold of its aircraft. In the same vein, the airline does not allow for the pet travel in their cabins either. There are, however, exceptions that are made solely for guide dogs and assistance dogs. It is mandatory for the dog to be in possession of a pet passport. An official veterinary health certificate will also do in case their country do not provide pet passports. Furthermore, guide/assistance dogs aren’t permitted on flights to and from Israel and Morocco due to restrictions. It is quite easy and convenient to carry your dogs on most of the Thomson flights. A booking form must be duly filled out by the passengers at AIA pets. The passengers will also find the relevant fee information for different animals in this form. Your pet will also need a pet passport in case you are traveling to Europe with it. All pets on the Thomson aircrafts are stored in the cargo. All travel boxes that go with the pets must be fitted with water containers. Thomas Cook allows for the travel of dogs and cats in the flight cabins that weigh less than 6 kg. The cost per animal to fly in Thomas Cook is 15€. However, animals who are less than eight weeks old are prohibited from traveling in one of their aircrafts. All animals must be stored in hygienic and closed baskets or bags that should also be watertight. Turkish Airlines charge a fee for pet travel on all their flights since they are not included as a part of the free baggage allowance. The fee starts from 35€ and ranges depending on whether the passenger wishes for the animal to be stored in the cabin or the cargo hold. You can refer to the full information regarding pet travel on Turkish Airlines online. Like most flights and airlines, pets are charged per kilo on the Turkish Airlines too and also depends on how many “zones” the pet has traveled through. United allows all service dogs and military dogs to fly with their qualified individual in cabin, or as a checked luggage. For the rest of us, bringing your pet in the cabin will set you back $125 and is mainly available on domestic flights. International flights will require cargo shipment in most cases with variable pricing depending on the dog’s size, paperwork, and the journey itself. Visit United’s PetSafe scheme section of their website to read more about smoothly organizing a trip for your dog. A huge list of prices based on the size and the destination is hosted on this page and should be regularly updated by United themselves. What’s interesting on all Virgin Atlantic flights is that all pets are eligible for air miles. This comes under the fascinating Flying Paws scheme. Yes, that’s a thing! 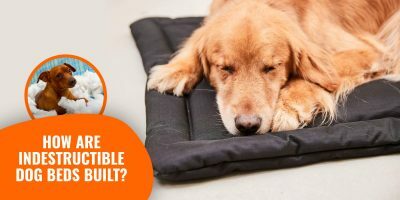 Again, the cost of the pet travel is influenced by a lot of factors on the Virgin Atlantic flight like the weight, height, width, and length of the pet that’s traveling with the passengers. No other animal except dogs and cats are allowed on the Virgin Atlantic airline. Passengers can simply call the flight’s dedicated team to inquire about the costs. So, here it is! This is a comprehensive list of the cost and details to fly your pet on some of the most popular airlines there are all over the globe. Some airlines do not have a fixed price as they charge based on the time of the year and the size of your dog. You can always call them to find out the prices for flying your pet. Also, make sure to vaccinate your pet before you fly them because almost all the airlines ask for vaccination certifications or pet passports. Don’t worry anymore about the details and hassles of flying your pet! Once you hand over your pet to the airliner services before you board the plane, they are in safe hands! Thanks to Lysha from Lalco Residency for her help with this article.